Please stop in to see if supplies for the kits for these former classes are available or we will help you select custom materials for your kit. These former class projects can be worked on at any of our UFO (Un-Finished- Objects) sessions! Register for our UFO classes in advance! Class size is limited. Remember to bring your sewing machine, scissors, pins, thread, seam ripper, team guide, rotary cutter, tweezers and tracing/pattern paper with you to class. Fabric Affair is happy to rent you a machine for your class. Please make arrangements prior to your class time if you are in need of a rental. Check Out Our Previous Class Projects! 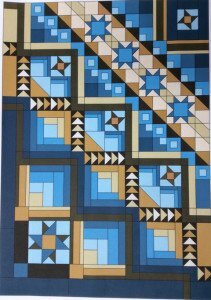 Gemini Quilt class: Gemini, by Villa Rosa Designs, has been Heirloom Creations most popular pattern of 2015. 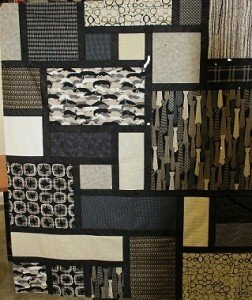 This pattern has become a great go-to pattern for guy quilts, baby quilts and use-up-half-a-jelly-roll quilt. Kits are available for purchase! Screen Play Bag: Screen Play is a pattern for a handy tote made with special screen fabric that is available at Fabric Affair. This tote measures 13″ wide x 9″ tall. 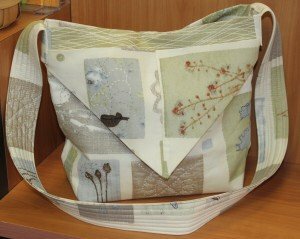 This is a FUN tote bag using scraps or fat quarters sewn to screen material. Come in before class and pick out your fabric. Happy Birthday Hat: No matter what age someone is turning they need to wear a special hat to celebrate their big day! 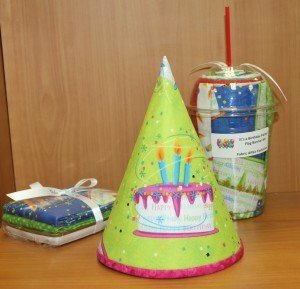 Come and learn how to make this adorable birthday hat for your family. There is a complete line of birthday decorations to make and kits are available for purchase! Happy Birthday Banner: Another essential party decoration that you can learn to make at this class and reuse year after year! There is a complete line of birthday decorations to make and kits are available for purchase! Ten Minute Bag: You will want to whip up this bag with so many practical uses! Literally, you can make this bag in 10 minutes. Great gift idea for those last minute gifts you need to give! Kits will be available or come in and choose your own fabrics prior to the class. 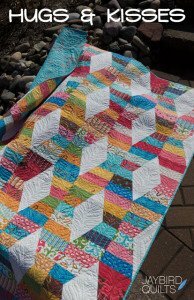 Snake Charmer Quilt: Come and learn how to make this adorable quilt. 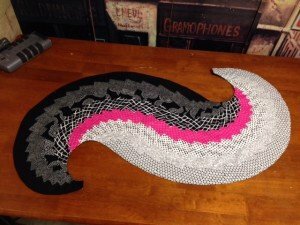 You will learn to assemble it in no time and smile the whole time you are working on this pattern! Fabric is available for purchase. 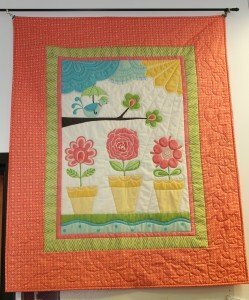 Amsterdam Quilt : This quilt will certainly get you in the mood for Spring with it’s beautiful tulip pattern. The pattern is from Eloise Penouf’s ‘Shape of Spring’ collection. 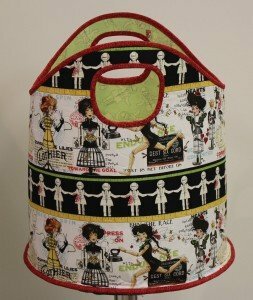 Sew Together Bag : You will want to whip up this bag with so many practical uses! Kits will be available or come in and choose your own fabrics prior to the class. 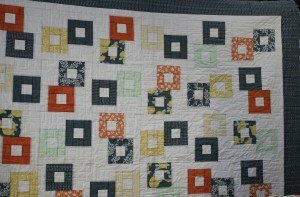 Shop Hop Quilt : This two part class will help you work on the blocks that you purchased at the Shop Hop and make it into a beautiful quilt! Remember, that if you buy your blocks at each store of the Shop Hop you will get the blocks at a discounted price. 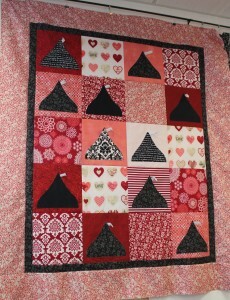 We will have the blocks and all of the materials to complete the quilt available at full price. Sweetheart Table Runner : This table runner will be sure to add lots of love where ever you use it in your home. Kits are available for purchase. 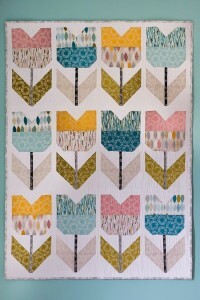 Kisses and More Kisses: Plan on attending this class to create this beautiful quilt. You will be surprised as to how quickly it goes together! Kits are available for purchase. This useful bag will be an all time favorite! Just the right size and can keep you organized. Come in and we will help you pick out the fabrics for your project! 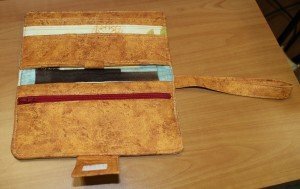 Whimsey Wallet : Make this wallet to match your Bow Tucks Bag or just make a new wallet. Come in and we will help you pick out your fabric and needed supplies to make this awesome wallet. 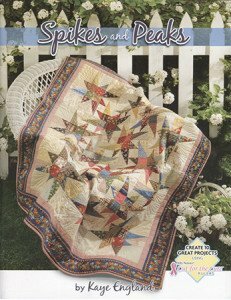 Points & Peaks: This two part class will get you started on creating this beautiful patterned quilt. The pattern contains ten classic yet contemporary projects from Kaye England and features the Nifty Notions Cut for the Cure ruler line. Kits will be available for purchase. Bread Bagz : Holds up to a dozen or more rolls while bread is kept soft without exposure to air. Lining pulls out to shake off crumbs and is washable. Stuff with tissue and use as decorations during the holidays, then stuff with bread for the holiday dinner! Easy to make. Santa bag, snowman and turkey are included. Kits will be available for purchase. 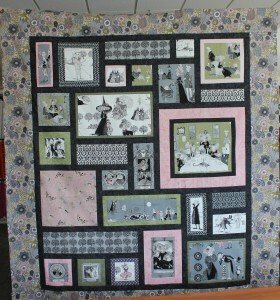 Hug & Kisses: There is so much motion and fun going on in this quilt that you have to make it! This two part class will once again get you well on your way to complete this lovely piece! Kits will be available! 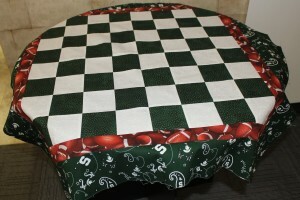 Fabric Checkerboard: What could be better for those die hard football fans for Michigan State or Michigan than their own checker board! Whether you are a ‘green and white’ or ‘blue and maze’ fan, these homemade checker boards will delight everyone! Kits are available for purchase. 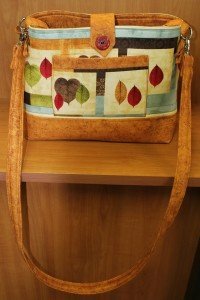 Messenger Bag: This two part class will be plenty of time to complete this beautiful bag. Making it as a gift for someone for the holidays or for yourself as you are doing all the running around that the holidays seem to bring, it will be gorgeous and useful! Call and register for this class and of course, kits are available for purchase! 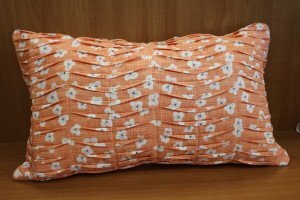 Wave Pillow: What a beautiful accent pillow to make for any room in your house! This two part class will produce a gift for someone, or maybe just for you! We will be glad to help you pick out fabrics that will compliment your décor! 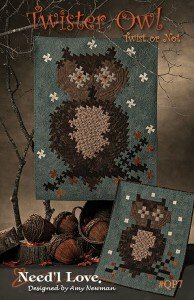 ‘Twisted Owl’ Wall Hanging: Who-o-o wouldn’t want this cute little fellow as a part of your fall décor? This two part class will get you well on your way to create this for your home, bringing a smile every day. Kits are available for purchase. 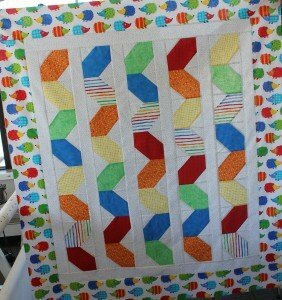 Charming Baby Quilt: You will be able to complete this quilt in no time for that upcoming baby shower gift. Call and register for this class and of course, kits are available for purchase! 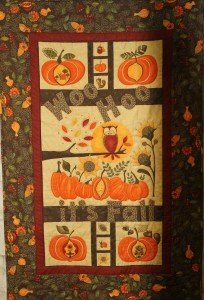 Quilt as You Go: This great piece can be used for oh so many things from a wall hanging to a table topper…. any where you want to add a little fall whimsy! ‘Give a Hoot’ Wall Hanging: Who-o-o wouldn’t want this cute wall hanging as a part of your fall décor? Give us two hours and this wall hanging can be hanging in your home bringing a smile everyday. Kits are available for purchase. Ghastlie Good Time Quilt: This new ‘ghastlie’ fabric has been an inspiration for this adorable quilt. This was a two part class and you will be well on your way to completing this quilt.Kits are still available for purchase! Holiday Runner: Your holiday table will be stunning with this table runner as your focal point! This was a two part class which will help you to complete this project in time for the holidays. Kits are available for purchase. 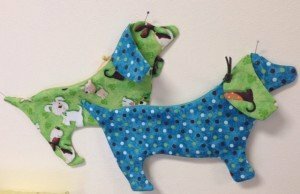 Twister Jack: This two part class will help you create this absolutely adorable wall hanging or quilt center for the Fall! 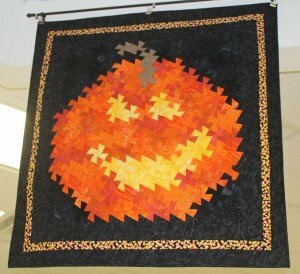 The wall hanging is 24’ x 26” and made with a Pinwheel Twist…designed by Becky Cogan. The larger quilt size is 24” x 26” and uses the Primitive Gatherings “twister” Primitive Pinwheels tool. You can make either the large or the small quilt size of 14” x 15” which uses the Primitive Gatherings “twister” Itty Bitty Primitive Pinwheels tool. Kits and tools are available for purchase! 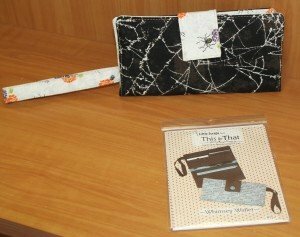 Whimsey Wallet:This is a sewing pattern for a sweet and easy wallet designed to hold everything you need to go out on the town. It even includes a zipper pocket for your coins. Finished size (closed) is approximately 4″ x 7 1/2″. Let the Flowers Bloom: This dolled up panel will keep Spring in your home all year round! Every time you look at it, it will put a smile on your face! Come and make this up in one afternoon. Kits are available! Owl Pincushions: These little guys are a pincushion, plus a keeper of needles and little notions that are easily misplaced… very handy to have next to your sewing machine! Kits are available! 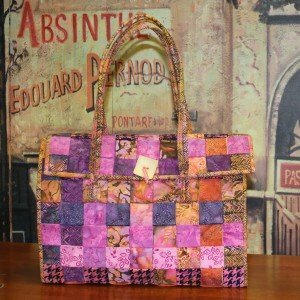 Venti Bag: This two part class will help you create a bag that you will use for anything! 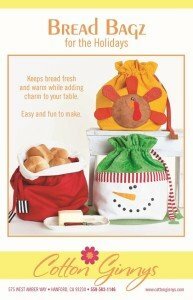 It’s a great bag that will help keep things organized and could be used in any room of the house! Come in prior to the class and we help you pick out custom fabrics that will suit your style! Science Fair Quilt: At the end of this two part class, you will complete this beautiful quilt top! Different fabric choices would really change the look of this quilt. It can go from graphic, and modern with solids, to cute with novelty prints, or sweet with florals. Just about any fabric would look great with this pattern. 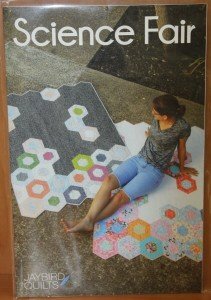 This quilt pattern requires the use of the Hex N More ruler which is available at Fabric Affair! The Hex N More ruler is very easy to use and made for accurate cutting of the strip pieced sections of the hexagons. The background pieces are also easily cut with the ruler. Come inprior to class and we will help you pick out custom colors for your décor. Call to register your spot today! 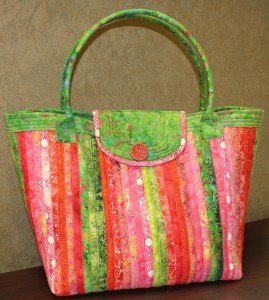 Anything Goes Bag: This two part class will help you create a bag that you will use for anything! 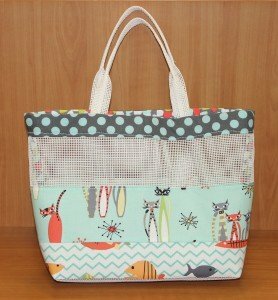 A perfect bag to have available this summer for the beach, vacation or just out and about! Come in prior to the class and we help you pick out custom fabrics that will suit your style! 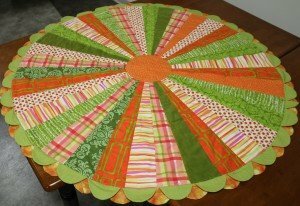 Scalloped Edge Table Topper: Just imagine this tabletopper on your table in your color scheme! Besides a table topper we have thought of many other uses for this pattern and at the class we will share those ideas with you. Come in prior to class and we will help you pick out custom colors for your décor. Call to register your spot today! 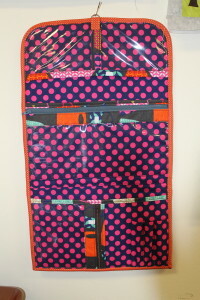 The Classmate: You will want to make a use full organizer for any of your sewing projects or an organizer for any of your crafts! Around the Block: Need an idea to make a special quilt for that special man in your life? Here is your answer to that question! Our ‘Around the Block’ quilt will surely please him. 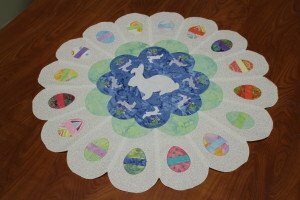 This two week class will enable you to make a table topper for your Easter table that will have every one smiling! This can be made with or without the embroidered bunnies. Kits are available for purchase! This two part class will be an exciting lesson on a new process. The structure of the bag is composed of woven strips. The Danforth bag is ideal for professional or leisure use. Kits will be available or if you prefer a custom kit please contact the store a week prior to class. How nifty is this? 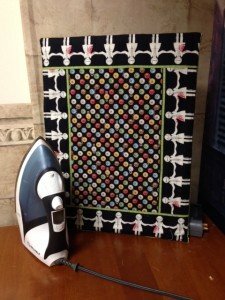 Here’s an awesome portable ironing board to take to classes or retreats that you can make is just three hours! Kits are available. The Freeport Gatherer pattern is a lightweight carrying basket that is perfect for gathering toys, towels, flowers, vegetables, etc. 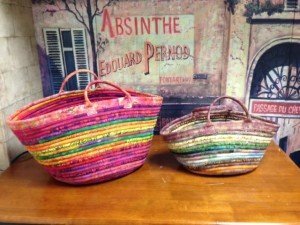 Finished size is approximately 16″W x 16″H for the large basket and 13″W x 9″H for the small. Kit and pattern are available. This unique and wonderful project will “spice up” the conversation at your table! Learn some new techniques and you’ll find it so fun you won’t want to stop at making just one! Finished size is 42” x 25”. Kit and pattern are available. 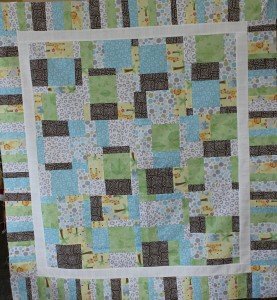 Make a beautiful baby quilt in an afternoon! 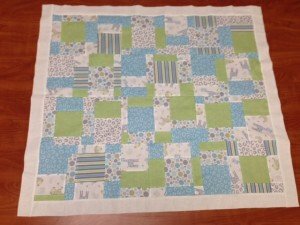 This simple yet sweet quilt is just perfect for that upcoming baby shower or new baby gift. At the end of the class you’ll walk out with your quilt top completed. Pattern is free and kits are available at the store now. Who wouldn’t want one of these adorable bags to carry all their precious items in? Kits are available or we can build a custom kit for you! 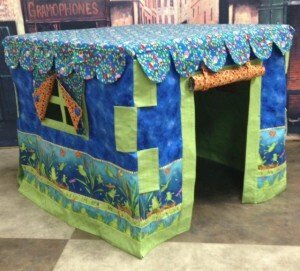 Join us to make an absolutely adorable child’s playhouse that fits over a card table. How cute is that? 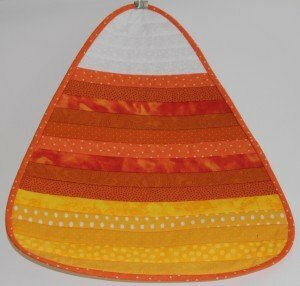 If you buy the kit at Fabric Affair this class is FREE!